This water feature has a clever design that will make a wonderful conversation piece wherever it's displayed. 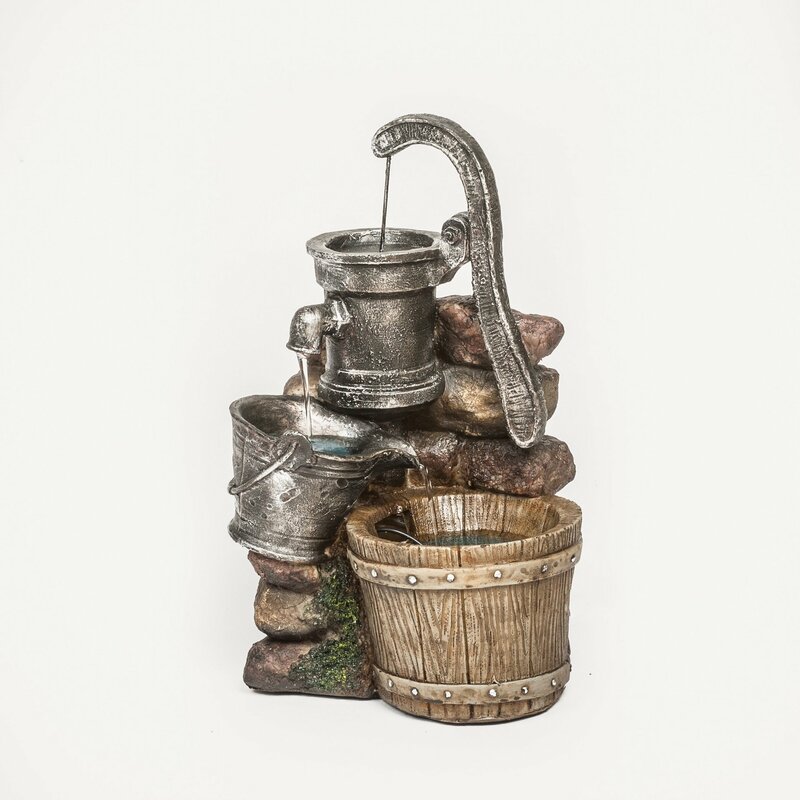 Water flows from the hand pump at the top of feature, down into a silver bucket then flows into a woodern bucket, which is placed in front of a stone look wall. A silver pitcher pours water from atop the fence into a series of illuminated buckets and vessels below. A small table-top water feature which is 36cm tall. There is a hand pump which runs water into the buckets below. There are multi-coloured LED lights in the bottom barrel. The water feature comes with the pump and LED lights.